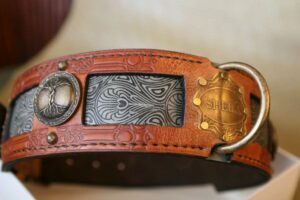 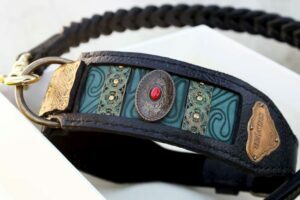 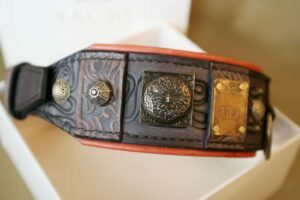 We create dog collars and dog harnesses using vintage ornaments (ornaments dated from 1930 to 1980) we shall name the resulting creation as a dog collar with vintage elements. 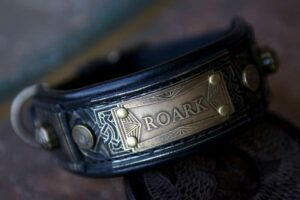 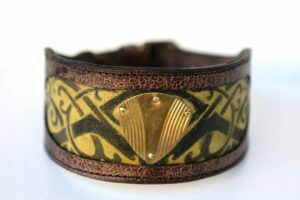 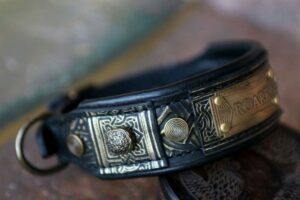 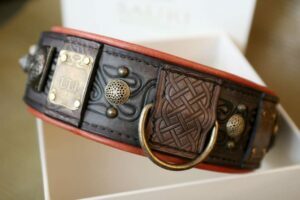 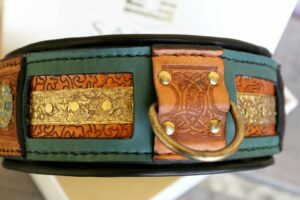 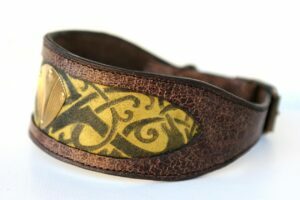 In our shop we already made such dog collars: Freya Dog Collar, Sarga Dog Collar. 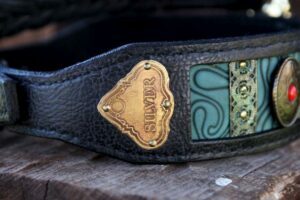 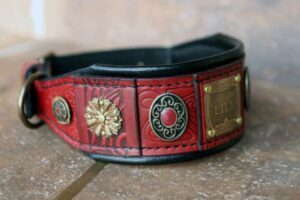 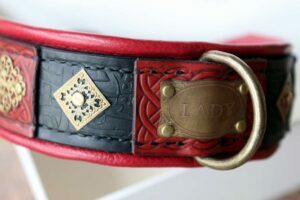 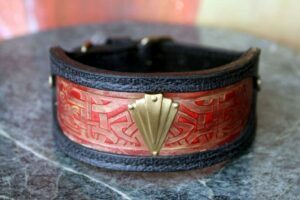 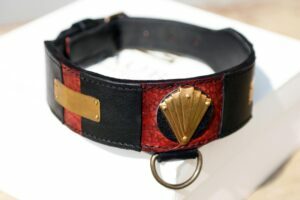 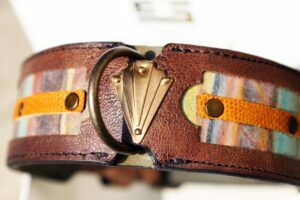 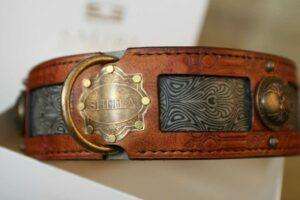 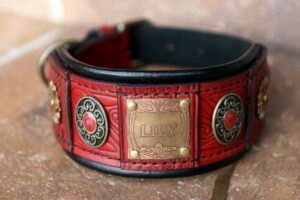 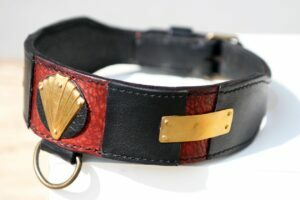 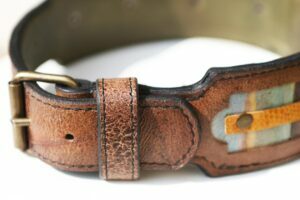 Even a leash can be made with vintage emblems! 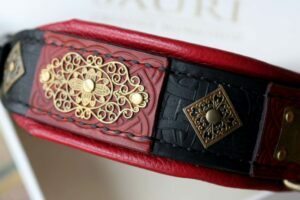 Since we are craftsmen by vocation and artists by inclination we continually look for interesting ornamental pieces that can be incorporated in our designs. 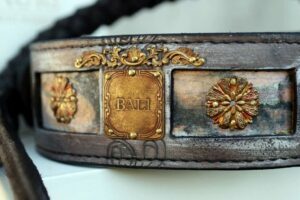 Also we are interested in any idea our customers might have regarding the ornaments especially when these are vintage. 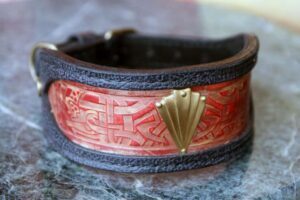 Feel free to share your ideas – capability is being able to create what you have imagined.